TIFF files are not widely supported by all image viewers, and it is not comfortable to share TIFF images by email due to their big size. 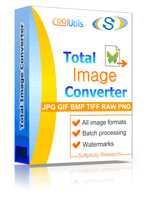 You can find a way out of this problem with the help of Total Image Converter. It will be far more convenient to share a batch of images turned into one multi-page PDF file. This way you will significantly compress TIFF pictures and make them easy to view and share. Just go through the tabs of the wizard and setup parameters you wish to use. When finished, press Start! You will get your TIFF images combined into a single PDF document. 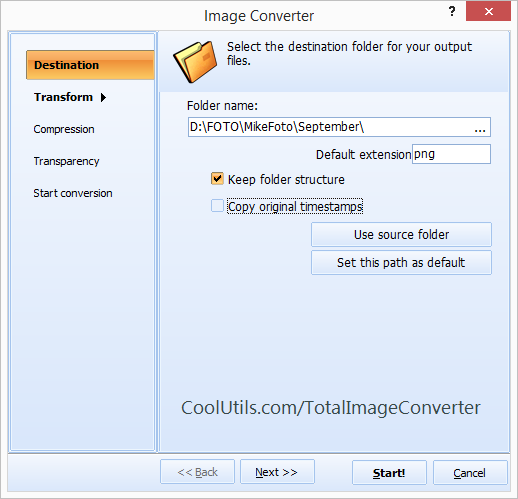 This command will convert all TIFF images from the Files folder into PDF, combine them to one result file and save it to the Converted folder. 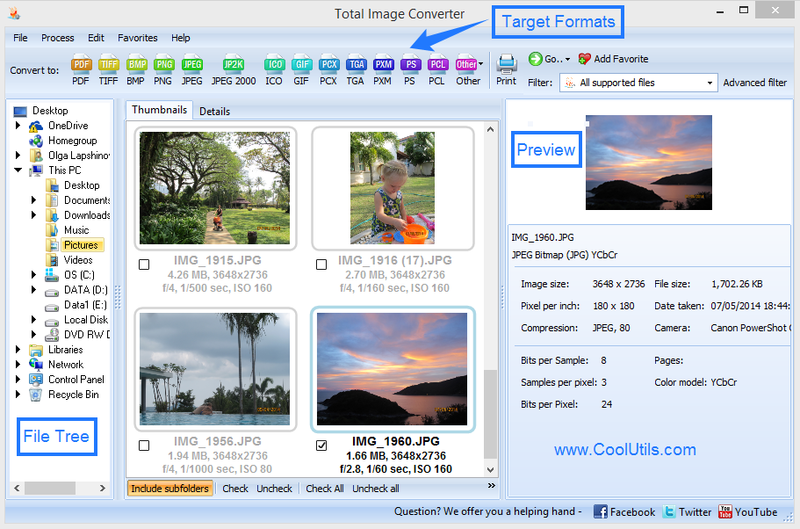 Try both modes in 30-day free trial version of Total Image Converter. Download the program here.